Recently, as you probably know, Sony Ericsson have launched their latest in a series of rather poor phones. I can say this as I have had to put up with their slow, unresponsive and blocky Xperia X1 for the past couple of years. This time, there is a new twist however – instead of a slide out QWERTY keyboard, it hides a set of PSP controls for playing PlayStation entertainment. 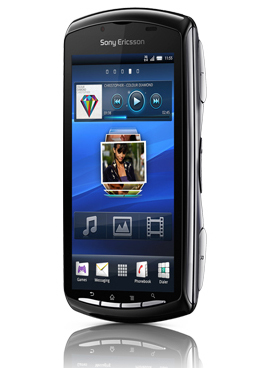 The Sony Ericsson Xperia PLAY is the phone that us gamers have been dreaming about for years. I hear your gasp; not so fast, everything is to be revealed. 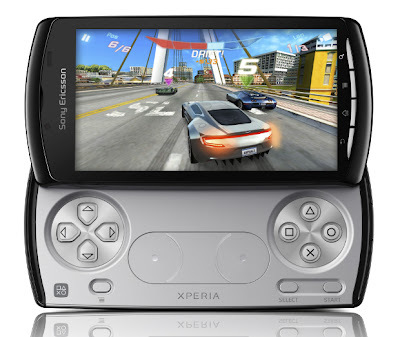 The Xperia Play (previously named the PSPhone) looks more or less like an Xperia X10, which is supposed to be decent, with a silver, analog-stick-less PSP control pad remake. This does add a pretty impressive look to the phone which I am surprised has not been thought of before. It also has a relatively large screen – a 4 inch multi-touch, scratch resistant and 16 million colour beast which is designed to play games and videos beautifully! In addition, it is powered by Android 2.3 (Gingerbread) which gives you access to over 150,000 apps! It also comes with an 8GB microSD card, which can be enhanced to 32GB and, something that has become essential in today’s phones, a rear-facing 5.1MP camera and a front-facing 0.3MP VGA camera. In line with Sony's PSP, a pair of shoulder buttons have been stuffed on, and it owns the usual directional pad and symbol keys, but in order to hide the pad at will, the analog sticks have been replaced with two touch pads, dragging the phone into the modern age. You can also control motion games by shaking, tilting or twisting your phone – presumably Sixaxis. It comes with six games already installed: Crash Bandicoot; Bruce Lee Dragon Warrior; Star Battalion; FIFA 10; The Sims 3 and Tetris. I recently wandered into the Carphone Warhouse on one of my many shopping trips and was surprised to see the phone out for all to see. Having a try, the case feels great, albeit a bit blocky, and the PSP mimicked controls feel satisfying to use. The screen also looks beautiful at a size fit for gaming. Overall, it looks great, contains powerful guts and plays video games! What more could you want? So it's original and simply great for showing off to your mates, but is it worth it? Although the idea of a gaming phone is pretty cool, but we'll have to see what games are released for it. 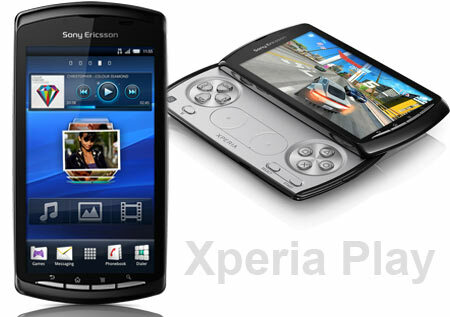 “I saw the Xperia PLAY in at least two locations at the Gadget Show, and did get to have a bit of a play. The first thing I did was, of course, play the games. Accidentally clicking on FIFA 10, I decided that I would play this first. What I was greeted with was a ridiculously long wait for it to load and then I was told an error had occurred. Not what I was expecting. When it did get going however, the graphics were mediocre; great for a phone, but they’re not going to rival the NGP. As for the console itself, it really is a PSPGo with a phone on it: the slide up screen, the indented areas for the buttons - it's all there. You can see the see the similarity in the image below. 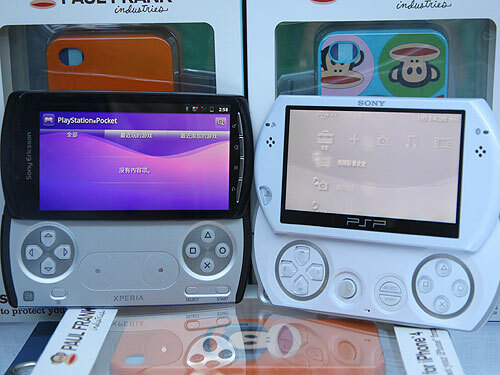 The Xperia PLAY is on the left, by the way. The second chance I got my hands on the Xperia PLAY there was someone there to demonstrate it. I got to play some games again – this time Bruce Lee Dragon Warrior. This was, for me, much better visually. While it wasn’t as realistic, the art style made the game look much better than FIFA had. My ‘gameplay’ is also in the video below, although, with nobody willing to hold my camera, I just had to film as I got brutally beaten up. I was then shown some very high quality footage, which was where the phone’s screen came into its own. As you can see, the phone is extremely slow to load up and plays the fairly basic looking games, but this could have been a one off crash or a dodgy model. Regardless, while it is gaining on the current PSP's or DS's, it wouldn't even have a glimpse of the power and graphics of next generation portables (NGP & 3DS). With a hefty price of £500, testing out the phone pre purchase is a necessity. Buying it for a replacement to a previously owned brick, or if I were seriously into gaming would be the only two reasons I would personally purchase this phone. In addition, Sony Ericsson have rather built themselves a reputation for trying too hard and subsequently failing the majority of the time – it's possible they could have a repeat failure with this phone.